From the Man Booker Prize-winning author of The Sea, a dazzling and audacious new novel that extends the story of Isabel Archer, the heroine of Henry James's The Portrait of a Lady, into unexpected territory. Isabel Archer is a young American woman, swept off to Europe in the late nineteenth century by an aunt who hopes to round out the impetuous but naïve girl's experience of the world. When Isabel comes into a large, unexpected inheritance, she is finagled into a marriage with the charming, penniless, and—as Isabel finds out too late—cruel and deceitful Gilbert Osmond, whose connection to a certain Madame Merle is suspiciously intimate. On a trip to England to visit her cousin Ralph Touchett on his deathbed, Isabel is offered a chance to free herself from the marriage, but nonetheless chooses to return to Italy. 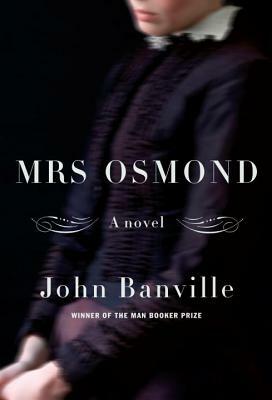 Banville follows James's story line to this point, but Mrs. Osmond is thoroughly Banville's own: the narrative inventiveness; the lyrical precision and surprise of his language; the layers of emotional and psychological intensity; the subtle, dark humor. And when Isabel arrives in Italy—along with someone else!—the novel takes off in directions that James himself would be thrilled to follow. JOHN BANVILLE, the author of sixteen novels, has been the recipient of the Man Booker Prize, the James Tait Black Memorial Prize, the Guardian Fiction Award, the Franz Kafka Prize, and a Lannan Literary Award for Fiction. He lives in Dublin.